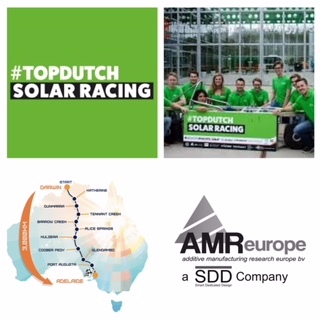 AMR Europe and SDD will help the #TopDutch Solar Racing team to win the next year challenge in Australia. An active student team is building a solar car that will participate in the Bridgestone World Solar Challenge. That is not just a race, but a gruelling challenge over 3000 kilometers through Australia. During this challenge, student teams with their own built solar cars will cross Australia, from Darwin in the North to Adelaide in the South. 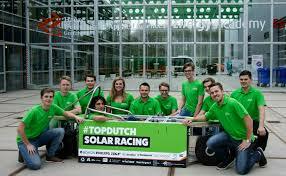 The TopDutch Solar Racing Team does not participate as a university team, but as a Northern regional team. A collaboration between all knowledge institutions MBO, HBO and university from the Northern Netherlands, the business community and the government. This competition takes place every year since 1987. The race leads the participants through the outback of Australia, where they also have to set up camp in the evening. The challenge in this challenge is to develop the efficient solar car. This is about boosting sustainable innovations. AMR Europe is going to print various parts for the TopDutch Solar Team, using Cubicon DLP and Markforged composite printers that can be used to print lightweight plastic parts with the strength of metal.